Years ago, I began my working life as a computer networking professional. In the mid-1990’s, it was a promising career, helping people to collaborate and share information. At the time, Microsoft’s networking software was not the flagship product people looked for. Instead, that title went to a program called Netware from a company named Novell. I dutifully took courses and exams to become a CNA, a Certified Netware Administrator. This was the first stop on the way to the coveted titled of CNE, a Certified Netware Engineer. With the CNA degree under my belt, I found a summer internship at a Jewish nursing home near my home where I helped the IT director with setting users up with their privileges and fixing the dreaded, “I can’t print!” calls. It was a great job because it was easy plus, being a Jewish facility, there was kosher food in the cafeteria. One day, as I enjoyed my lunch break by exploring the facility, I noticed the bulletin board. I was shocked to see a number of jobs posted that required the CNA degree! Why would so many network specialists be needed in a nursing home? It took some time before I found out that CNA also stood for Certified Nursing Assistant, something that made much more sense in a healthcare setting. The lesson, I guess, was that not everything is as we think it is, and that there is not as much demand for network experts in a nursing home as I’d first imagined. If you saw the letters MDA, you might think of Magen David Adom, the Jewish ambulance and rescue agency in Israel, but if you grew up in the days of the Jerry Lewis Telethon, you might think it referred to the Muscular Dystrophy Association. Of course, if you were a periodontist in Ann Arbor, you might know it as a reference to the Michigan Dental Association. Some people will see the letters PA and immediately think of a medical professional who is more than a nurse but not quite a doctor. Being a Physician’s Assistant is a wonderful thing and you can help a lot of people. 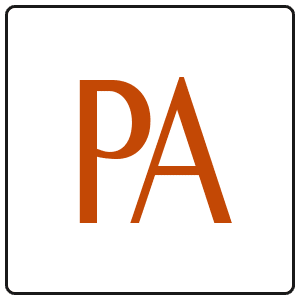 The letters PA might also upset some people as it makes them think of the Palestinian Authority. However, the PA that comes to mind for me well predates that 1994-originated entity because it was old technology when I knew of it back in the 1980’s. The Public Address system is a way of magnifying your voice so people can hear it for a great distance. In some instances, people hold megaphones and shout into them so the garbled noise sounds like a vacuum cleaner blowing its nose. In other cases, such as in my Yeshiva, the PA was a series of metallic speakers throughout the building over which music was played to wake the boys to go to daven or learn. During Sefira the ersatz music would be replaced with staticky cassettes of various speakers delivering inspiring lectures. The raucous noise was enough to get us out of bed and out of the building. Having been familiar with this system, you can imagine my surprise in hearing that someone had been hired as a PA for an event. Would they be repeating everything the Baal Simcha said in a loud voice? It turns out that they were hired as a PA, but in this case it meant, “Production Assistant.” Taken from the motion picture industry, these people are the ones who make sure everything goes smoothly in the production. How? By doing whatever needs to be done. Despite the glorious sounding title, the PA is the one who does everything from making a cup of coffee to taping costumes together. From ensuring the star has their preferred brand of bottled water (they taste DIFFERENT!) to feeding the parking meter for the cameraman’s van. At a Simcha, the PA makes sure the florist knows where to put the centerpieces and how to fit the bejeweled hairpins back in a fancy hairdo. They tell the caterer when to bring in the cake and tell the hostess to relax because everyone is having a good time. The vagueness of their job description belies the inherent greatness of what they’re doing. What does a PA do? Whatever needs to be done. Some people are specialists and that’s great. They can do something nobody else can. But PAs can do things nobody else WILL. They understand that the goal is to help everyone succeed and they are willing to do everything in their power to enable the success of others. Like the PA system whose job it was to arouse the boys to grow in their service of HaShem, people who are concerned with seeing others succeed are the power behind the production, the ones who don’t just watch things happen, but make things happen. So let’s all try to be PAs, and the success of our efforts will be proclaimed loud and clear!